At the invitation of Goshen Historical Museum (124 S Main St), The Guild has a display of photographs in the front store window, running July through September. The initial idea was to show photographs of the Goshen and surrounding areas. We did that as much as possible. The Guild and the Museum invite you to stop by and see the display. The museum hours are 11:00 a.m. to 3:00 p.m., Thurs., Fri., and Sat. On First Fridays they remain open until 9 p.m. If you are in town and the museum is not open, one should still stop by as the display is quite viewable from the store entrance window. 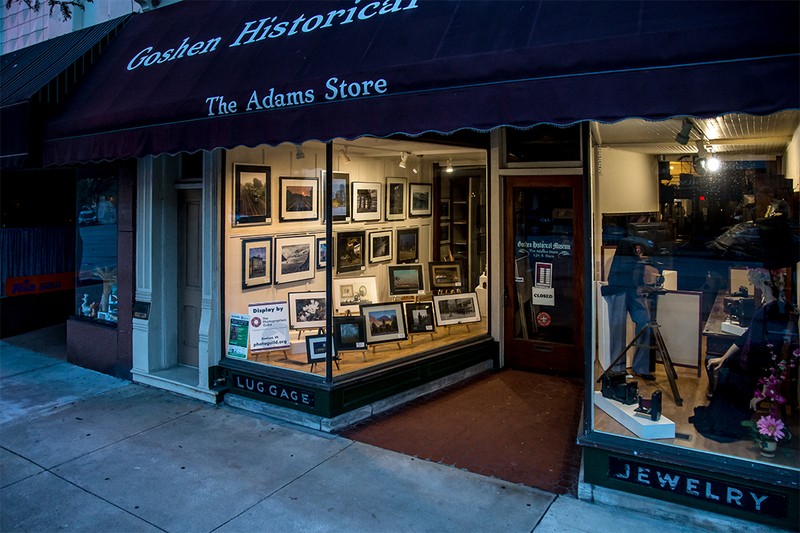 The Goshen Historical Society encourages all photographers to help record the history of Goshen. Bring in your old Goshen historic-related photos or, bring in new ones of history-in-the-making. While the museum cannot pay for photos submitted they credit the photographer when that information is available.